This game is available in no download version. Thus, you can enjoy it anytime you have Internet connection without installing special software on the computer. Get to know the main heroes in the intro movie that opens this game. Find out the story of unstrung Matt Gray, general manager of the above mentioned casino and enjoy this amazing and intriguing story. 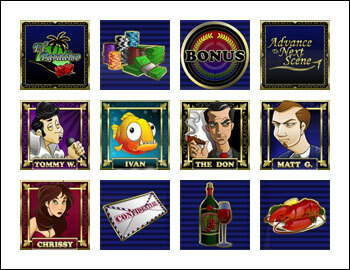 The excellent graphics presents you such heroes and icons as Tommy Wong, Bonus Chip, Ivan the Fish, El Paradiso, Casino Chips, The Don, Matt G, Chrissy, Letter, Wine, Lobster, Advance to Next. You can choose among such coin sizes as $0.01, $0.05, $0.1, $0.25, $0.5. Enjoying this penny slot you can cover all 15 lines with the minimum bet of $0.15. The maximum bet is $37.50. 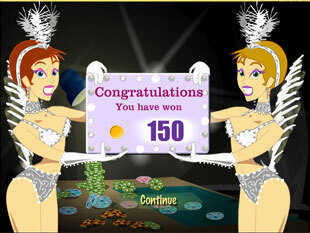 The highest jackpot is 1,000 coins or $2,500 for 5 El Paradiso or for 5 Casino Chips. The second jackpot is 300 coins or $750 for 5 The Don or for 5 Matt G or for 5 Chrissy. The third highest jackpot is 125 coins or $312.5 for 4 El Paradiso or for 4 Casino Chips. There are four scatter symbols – Tommy Wong, Ivan the Fish, Advance to Next logo and Bonus Chip. All of them activate different bonus features we are going to learn more about further. Now let’s check the prizes some of these icons can present you. If you get 3, 4 or 5 Tommy Wong icons you multiply your total bet by 1, 2 or 50 times accordingly. Thus, you have the opportunity to get $1,875 if bet maximum $37.50. Get 2, 3, 4 or 5 Ivan the Fish and multiply your total bet by 1, 1, 2 or 50 times. Finally, if you manage to get 3, 4 or 5 Bonus Round icons on the reels your total bet will be multiplied by 1, 2 or 50 times respectively. In short, you will have the same prizes for the same number of Tommy Wong, Ivan the Fish and Bonus Round icons. Three or more Advance to Next logo on the reels present you the next scene of As the Reels Turn. Don’t forget that this is i-slot, so you have more options to make this story exciting. By the way, you always can check your progress clicking on the Game Map in the right corner above the reels. Free Spins. By hitting three or more Ivan the Fish you trigger 10 Free Spins. The other good news is that all prizes are multiplied by 3 during this feature. In other words, you can get up to 3,000 coins or $7,500 for 5 El Paradiso or for 5 Casino Chips this time. Bonus Round Game. 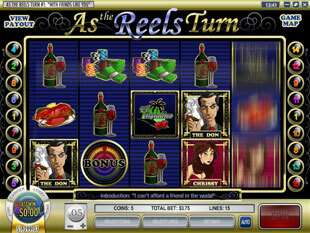 Get three or more Bonus Round symbols on the reels and activate Bonus Round. 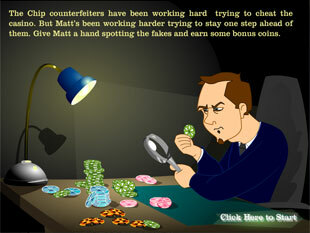 During this extra game you should help Matt Gray, the general manager of El Paradiso to find the authentic casino chips. Just click the chips that you consider are authentic and win your prizes. However, if you hit a counterfeit one, the Bonus Round ends. Tommy Wong Feature Act. 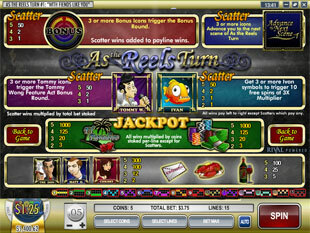 Hit three or more Tommy Wong icons on the reels and activate Tommy Wong Feature Act bonus game. This time you appear in a room where you can see the silhouettes of some famous people. Your task is to guess whether Tommy Wong is going to be Elvis, Dolly Parton, Stevie Wonder or Michael Jackson tonight. If you are right, get your award and continue the game. As the Reels Turn 1 slot machine presents you the opportunity to enjoy incredible story with more new heroes and win great prizes. Various bonus games make this i-slot absorbing and exciting. Just try it and maybe it will become your favourite one.